Ron is the General Manager of Valley Wide Ag. and is insurance-licensed since 1993. 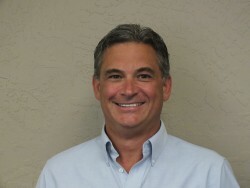 He represents his clients with a full line of ag-related insurance and financial services. Ron helps business with workers compensation and employee benefits including health and retirement plans, business continuation and family farm legacy planning. Ron holds a Bachelor of Science degree in business from California Lutheran University. Helping businesses and individuals find solutions for their insurance and financial needs has been Ron’s focus for twenty years. His belief in providing a high level of customer service has been his guiding principle. Ron has helped build the specialty ag team at Valley Wide Ag with high quality individuals who have years of experience in all aspects of California agriculture. Away from the office Ron enjoys spending time with his three daughters and his wife Nina. Last Updated Thursday, April 18, 2019 - 07:56 AM.